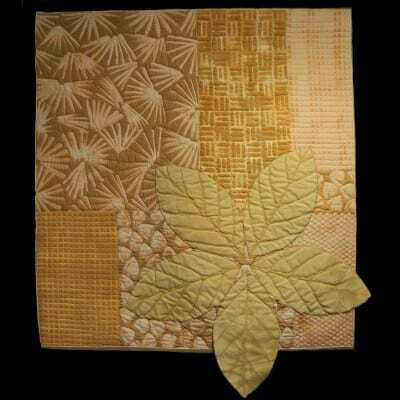 Fiber and fabric have been a part of my life forever. My mother taught me to push the needle back through the quilt when I was four or five years old and "we" were finishing her Grandmother's Garden quilt on an old curtain frame. 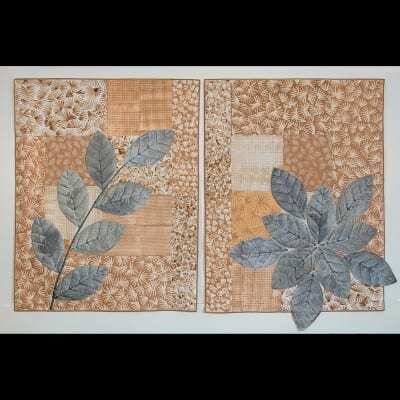 I took a breather and went to college majoring in graphic art and getting masters credits in printmaking. I started the Loom Room, a hand weaving studio, in 1974 and wove clothing, and interior design pillows and wall hangings for the next twenty-eight years. These products were retailed and wholesaled throughout the county. Quilting started with these wonderful scraps that I was unable to throw away. As any fiber person knows, scrap multiplies arithmetically in proportion to the business of the artist. I had to do something with these beautiful dyed silks and gorgeous cotton hand-wovens. 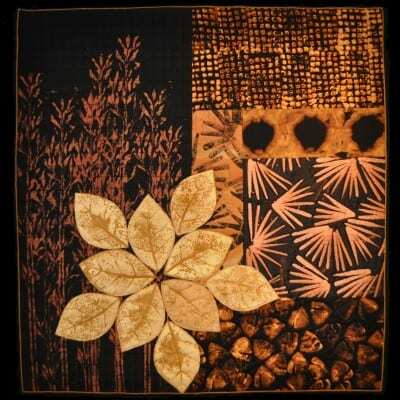 Art quilts, with the twist of practicality, are the focus of my creative flow. 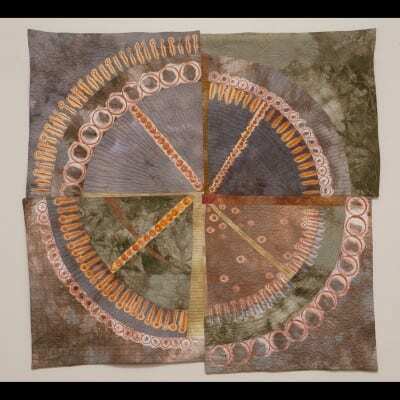 In recent years these quilts have won best in show in West Virginia, Ohio, and Maryland, numerous Judge's choice awards and are in the possession of many collectors around the country and hanging in the American Embassy, Saudi Arabia. I hand-dyed and print the fabric and also used commercial fabrics to obtain the look I'm seeing in my mind. "If you could be inside my head and see what I see..." a student once wrote, I totally agree!